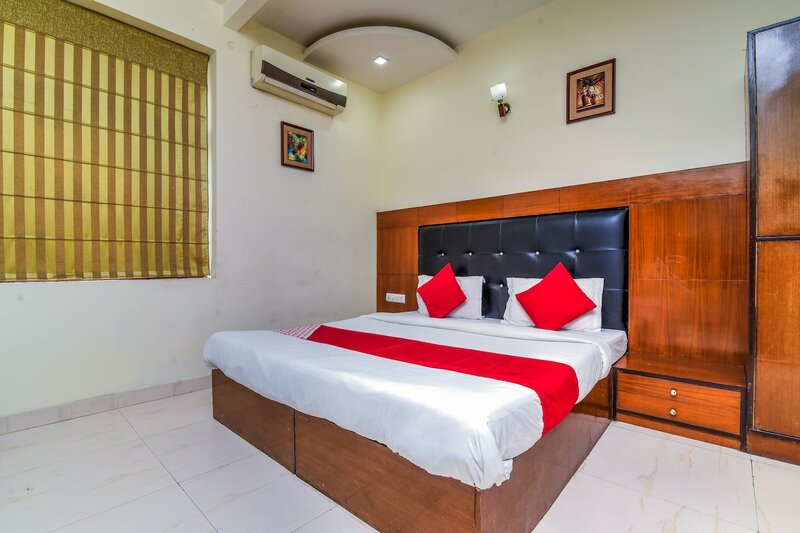 Hotel Neptune Residency is a modern property with bright and tasteful interiors, and located in Bhera Enclave, Paschim Vihar, in Delhi. The DVB Sub Station Paschim Vihar Bus Stop, Peera Garhi Metro Station, and Paschim Vihar West Railway Station are very close to the hotel. The hotel has a trendy reception area with wallpapers, and a dining space. The rooms are brightly furnished, have wooden accents and all the beds come with plush padded headboards. The bathrooms are spacious, neat and feature shower enclosures. Each room has a TV, AC, and free Wi-Fi. The hotel also provides power backup, card payment facility and CCTV security. A number of restaurants are located close to the hotel, like Domino's Pizza, Indyaki - Radisson Blu, Baljeet's Amritsari Koolcha, and Chawla Kitchen.